With the recent release of our new product AdapTec Plus, many might wonder what is the role of AdapTec Plus in supporting the terminal. The AdapTec plus is a combination of a power supply with enhanced access control functionalities. It supports FingerTec’s encrypted 26-bit Wiegand communication output; providing enhanced security level for extra protection. With the data encryption, the life span of the terminals can be prolonged without the risk of short-circuiting. The H2i’s firmware has been updated to work with the AdapTec Plus. 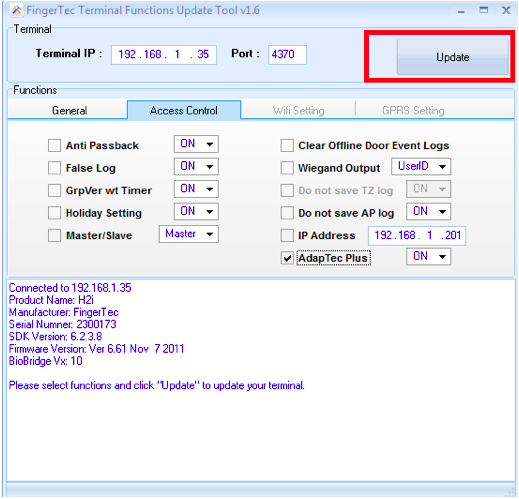 The latest firmware is available for download here. To assist our resellers further, we have prepared a simple step-by-step instruction to guide you through the setup of connecting the H2i with the AdapTec Plus. 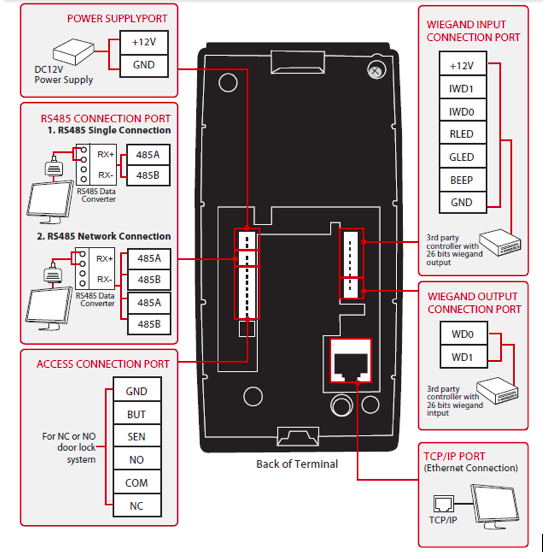 To connect the H2i to the AdapTec Plus, please refer to the below diagram. 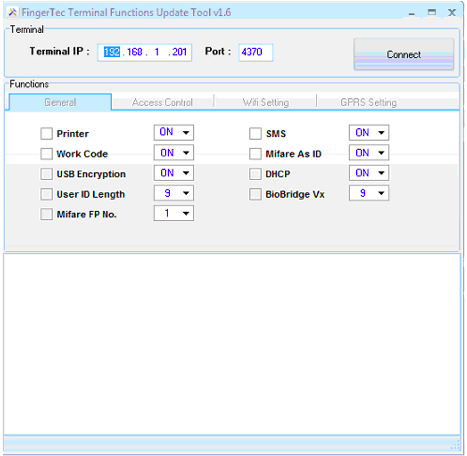 By using the FingerTec Terminal Functions Update Tool v1.6, we can configure the H2i to send an encrypted Wiegand output signal to the AdapTec Plus. 1. Download the FingerTec Terminal Functions Update Tool v1.6 here. 4. When the connection is successful, the General and Access Control tab is will be accessible. 5. 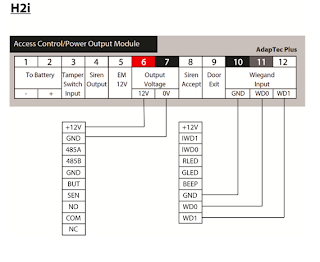 Click the Access Control tab and tick the checkbox for AdapTec Plus. 6. Click Update to update the new feature into the H2i. 7. When the update is completed, click Restart to restart the H2i. Your H2i will now be able to work with the AdapTec Plus. If you are still facing problems with this process, kindly contact support@fingertec.com for further assistance.